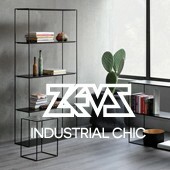 With 30 years of innovations, Zeus is more than ever a must-have brand in the design world. This Italian brand, a truly creative laboratory, puts steel and craftsmanship at the heart of its collection. The founder Maurizio Peregalli creates, in collaboration with other famous designers as for example Ron Arad or Massimiliano Fuksas, authentic and almost entirely hand-made furniture. Muuto is striving to expand the Scandinavian design tradition with new and original perspectives. 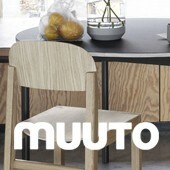 In fact, name Muuto, inspired by the Finnish word muutos, means new perspective. Between Poetry and sweetness, Muuto always find a way to surprise us! The collection of the young Danish brand is eclectic and innovative: each piece is unique and reveals the identity of its creator. Let’s bring the new collection inside your home! A suggestion? A question? Brands that we need to discover?